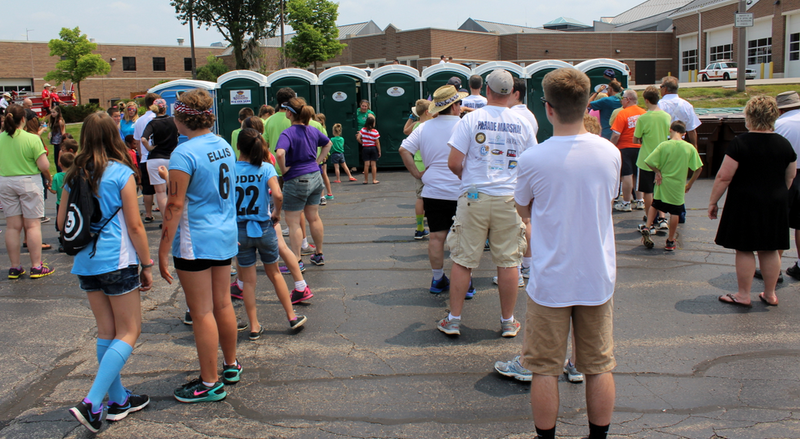 Before the Independence Day Parade in Crystal Lake people were lined up in front of the portable toilets. People lined up in front of the port-a-potties before Crystal Lake’s Independence Day Parade. It’s a long walk from City Hall to the Dole Mansion (Lakeside Center). Looks like Wrigley Field on Opening Day.